Massive congratulations to Faye and Glenn, who were married at The Lawn, Rochford. They chose to have a rustic “Naked” style 3 tier wedding cake, with the tiers to have a more chunky look, so I sandwiched together 2 sponges with lashings of filling to give the cakes a more authentic Victoria Sponge look. The flavours they chose were Black Forest, Lovely Lemony Lemon cake and dark Chocolate (which I was told by Faye was hers ONLY!) 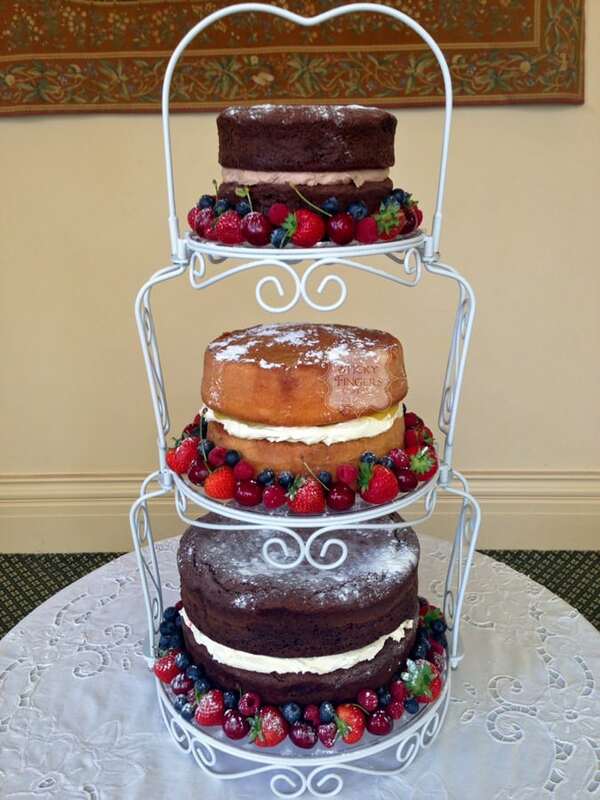 The cakes were finished off with a selection of summer berries and a dusting of icing sugar, displayed on my “Shabby Chic” tiered cake stand.